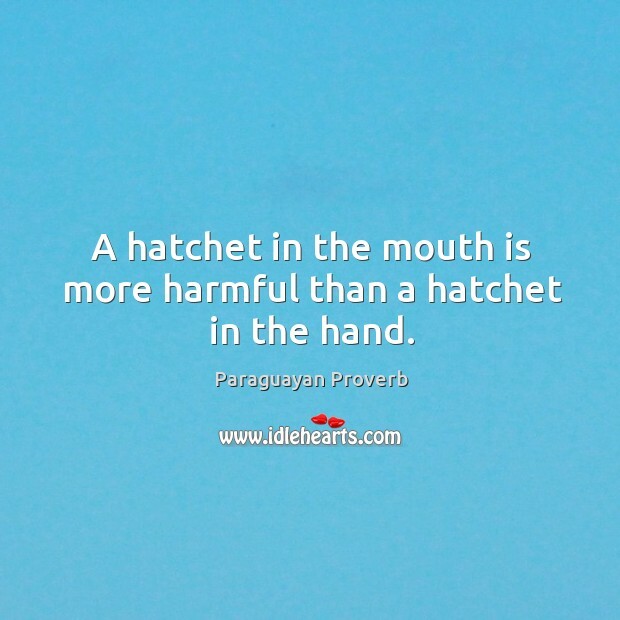 Collection of famous Paraguayan proverbs, true sayings and wise words. Use words and image sayings to keep you moving forward! 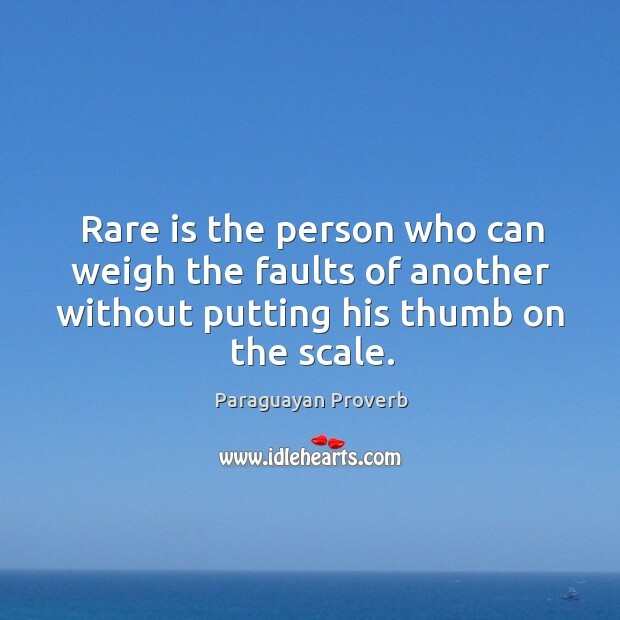 Rare is the person who can weigh the faults of another without putting his thumb on the scale. 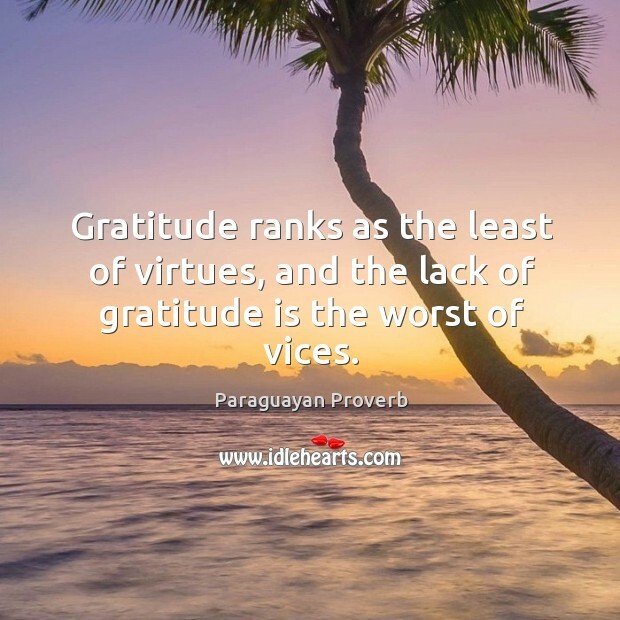 Gratitude ranks as the least of virtues, and the lack of gratitude is the worst of vices. 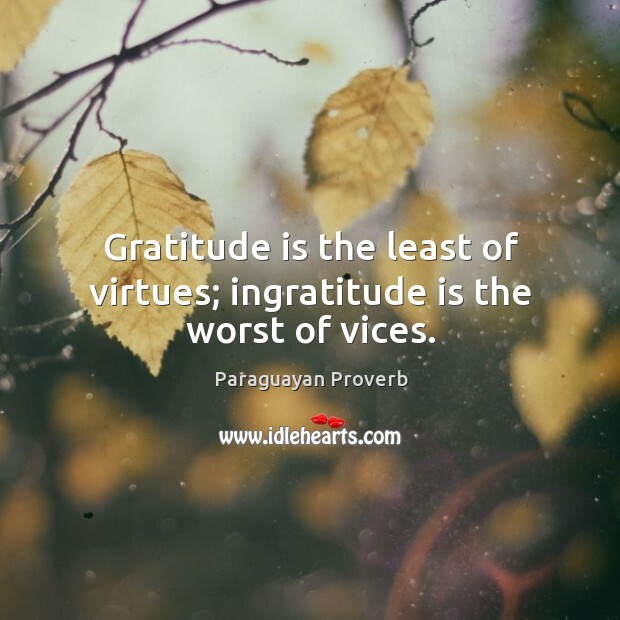 Gratitude is the least of virtues; ingratitude is the worst of vices. 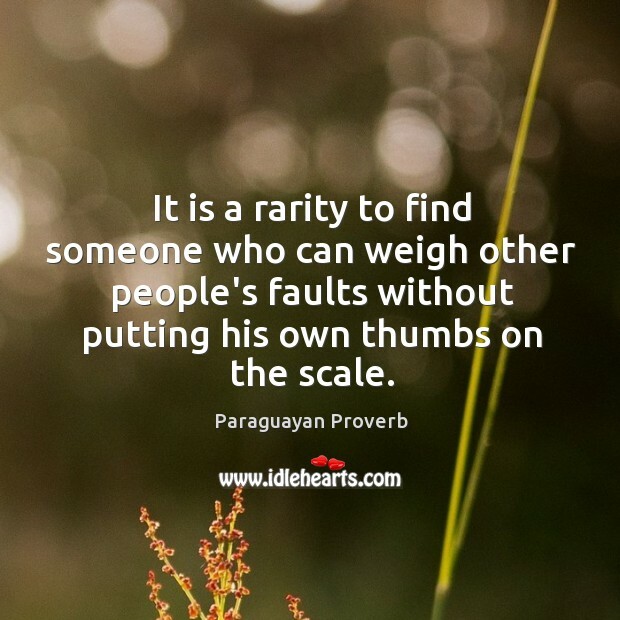 It is a rarity to find someone who can weigh other people's faults without putting his own thumbs on the scale.